So, 6 months is a really specific amount of time – you are obviously welcome to stay longer! – but it seems like in a place as amazing as Singapore, 6 months is probably the amount of time you need to begin to unravel the secrets of living here and really make the most of everything on offer. Start by finding a room for rent in Singapore as a hotel for this length of time will be too expensive and you won’t have a true experience of living like a local. Once you have your room, you can then begin to make plans to ensure that you make the most of your trip. Consider what you want to see, what you want to learn and where you can travel to from this incredible destination. Singapore has a lot to offer tourists and you will need a good destination guide to help you sort through all the opportunities available to you to make the most of your trip. However, if you are travelling to really get to know the place better, the tourist spots will only take you so far into the culture of Singapore. And as well all know, there is more to any destination that its tourist highlights. There has been a significant trading outpost here since the 14th century (possibly longer) but modern Singapore was founded when Sir Thomas Stamford Raffles negotiated with neighboring Johor to allow the British to found a trading port on the island. It is this trading port that came to be known as the gateway between the East and the West. During the second world war, Japan occupied Singapore, but Singapore reverted back to British control once the war was over, albeit with greater levels of self-government being given to the local people. In 1963, Singapore, along with many other states in the Malaysian peninsula under British rule, was combined into the Federation of Malaya. However, within 2 years, Singapore separated to become an independent republic in 1965 due to ideological differences. Since then, Singapore has grown rapidly as a tiger economy and now enjoys its place as a prosperous nation with strong international trading links and a free market economy. Though this means that in relative terms, Singapore is an expensive destination, it also means that there is plenty of history to explore, ideas to navigate and places you just have to see. And, if you are savvy enough, you can explore on a budget too. Of course, this version of events is over-simplified and to get a real idea of the history of Singapore, you should go there and find out for yourself. In many countries, multiculturalism is a difficult balance between those people who form the majority, and those who have minority faiths and cultures. This means that there is always a tension between the different groups and can make some situations explosive, especially in countries like America where there is a long history of racial and cultural tension. Singapore is not like this. It is not like this to such an extent that the people here are all hold each other’s religious identities and cultural heritage to the highest respect and they have also consciously ensured that no particular identity gets preference over another. While to westerners, their laws against insulting other people’s religions might seem like a breach of free speech, and their forced integration might appear to intrusive, the effect that it has here is that the Singaporean society is one of the most inclusive you can find. As a long standing trading port, it is unsurprising that there is a wide variety of people here with different heritages. The majority are of Chinese descent, but there are also people of Indian, Malay and European descent too. In the integrated spirit of Singapore, it is also unsurprising that there are many variations in these cultures and yet, as they are merged, each further cultural heritage is celebrated and enjoyed by everyone. Though to an outsider, Singaporeans are just Singaporeans, in the city, it becomes clearer how people can differentiate themselves within the various groups. 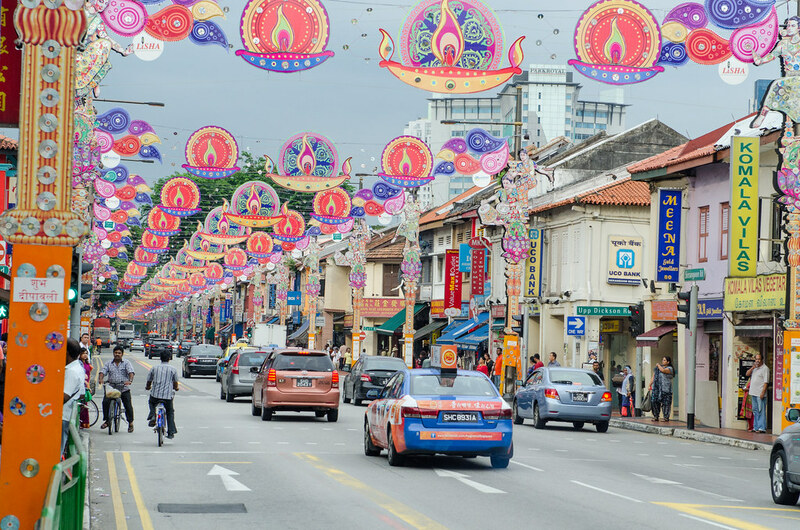 You can find more distinct grouping in Little India and Little China – and you would be a fool not to luxuriate in the culinary delights to be found here! These areas are both popular tourist destinations and you can find all sorts of culture here to enjoy, giving a deeper understanding of how Singapore has come to be. Singapore, being at the very tip of the Malay Peninsula, is not just a gateway to Malaysia, it is also an excellent base from which to see islands as far as the Philippines as well as travelling north to Thailand, Cambodia and Vietnam. By making Singapore your base, you will be able to visit these other countries for short trips over your stay – just make sure you have the right visas. Island hopping has always been incredibly popular with backpackers in Malaysia and with so many tiny islands to choose from, it makes sense that you will use Singapore as a base in between trips to different locations. 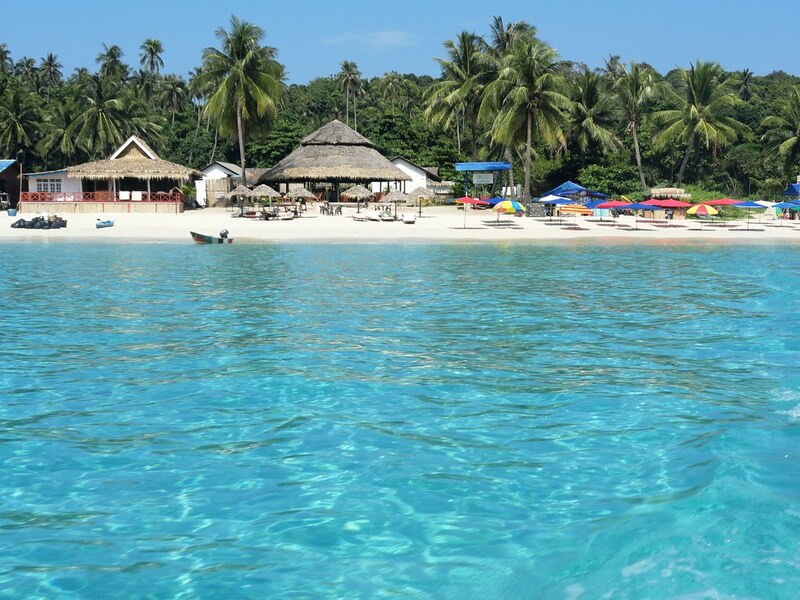 The Perhentian Islands are ideal for escaping the buzz of the city for clean beaches, clear waters and spectacular snorkelling and diving opportunities. Even if you just lie on the beach for a few days, you are guaranteed to feel better for coming here to relax. In the other direction, Bali is a favourite destination for spa holidays and adventure and offers an entrance to Indonesia. Singapore is an amazing city, full of contrasts and incredible diversity. A holiday here would always be amazing, but to really and truly experience the culture here, you need to visit for a longer period. If you have plans to see the rest of Malaysia, Indonesia and much of the rest of the surrounding area, Singapore is the ideal starting point, the gateway to Asia. Backpackers from around the world have treated it as such for many years, and now it is your turn.